KTET Hall Ticket 2019 is Released. Dear candidates the notification from Government of Kerala General Education. The KTET Hall Ticket 2019 is available now to download. Candidates who had completed the application process for the Teacher Eligibility Test and waiting for the hall ticket to participate in the examination, this is the good news for everyone. Aspirants who are going to attend for the KTET 2019 on 27th January and 2nd February 2019, they should download the Kerala TET Admit Card 2019 from the official site and carry it for the examination hall. Every year the organization released the Teacher positions in various locations of Kerala State. In the same this year also, it issued the notification through the official website www.ktet.kerala.gov.in. For recruiting the candidates, the organization will conduct the Kerala Teacher Eligibility Test. After the examination process, we will update the result date, interview date, and other details very soon on our website. The candidates can also check the All India Exam Hall Tickets through this article. For more information, the applicants must need to visit the organization website. The more information belongs to KTET Hall Ticket 2019 has given below in this article. The Kerala Teacher Eligibility Test Hall Ticket 2019 is available now to download. The management of Government of Kerala General Education decided to conduct the Kerala TET 2019 on 27th January and 2nd February 2019. The applicants must download the KTET Hall Ticket 2019 at least 3 days before the examination. And the Teacher Eligibility Test will be held on 27th January 2019 for Category I & Category II and for Category III & Category IV on 2nd February 2019. 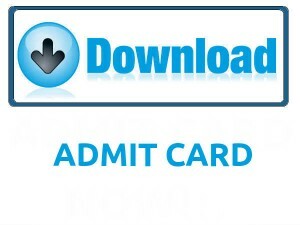 Candidates can also download the KTET Hall Ticket 2019 through below provided a link at end of this page. We advise everyone bookmark this page to get the daily updates from Kerala Education Department. The KTET Hall Ticket 2019 will play a vital role in the KTET examination process. The hall ticket or admit card have an essential detail belongs to exam and candidate. It is handy for the management of the examination to avoid the fake candidates in the exam center. When the applicants download the hall ticket must check the information when provided in that. If there are any corrections in that, then inform the management of the examination board without any late. Along with admit card, the candidates must carry any identity like Voter ID, Drive Licence, or any other for security purpose. The more details belong to KTET Hall Ticket 2019 like Notification, essential dates, Hall Ticket Information, a vital document to carry for exam details, and steps to download the hall ticket has specified below. We had provided the notification details of Kerala TET Exam 2019 like Organization name, Exam name, Category, Exam Date and official website of the Organization. The Kerala Pareeksha Bhavan will conduct the written test and interview process for recruit the candidates every year. In this process, the organization will select the Teacher Eligibility Test written examination process for screening the vast count of candidates. The candidates will go through the interview process, who had qualified in the TET written test. The selected applicants will be placed as per the organization rules. For more details of selection process check the official notification of KTET. The Kerala TET Hall ticket 2019 will play a vital role in the examination process. Without the hall ticket, any organization will not allow the candidates for the exams. The hall ticket or admit card or call letter have below important information. The KTET Hall Ticket 2019 is a crucial document for the written examination. So all the applicants without fail must and should download the Kerala TET Admit Card 2019 and carry it to the examination center. The officials of the Government of Kerala General Education will print the all useful information about the exam and applicant details on the Admit Card. By checking the hall ticket, contenders will get clarity about the examination. The KTET Hall Ticket 2019 will be available from 17th January 2019 at the official website. To download the Kerala TET Admit Card 2019 contenders need to maintain the login credential information. All the applicants must download the Kerala TET Admit Card 2019 and appear for the examination on 27th January 2019 and 2nd February 2019. The contenders must carry identity proof from below provided details for checking purpose at exam theater. Every candidate needs to follow the below steps for download the Kerala StateTeachert Eligibility Test hall ticket without any conflicts. The applied candidates must need to visit the Kerala Pareekhsa Bhavan official website, ktet.kerala.gov.in. Search the KTET Hall Ticket 2019 download link in organization website. Submit the details, and it will display on the screen after some time. Check the information on KTET Hall Ticket 2019. Submit the Kerala TET Admit Card 2019 at exam center along with any Identity Proof at examination hall. Through this article, we have provided the details of Kerala State Eligibility Test and KTET Hall Ticket 2019 and hope it will more helpful to all applicants. If the applicants had any queries about this article, please leave a comment on below comment box. For more updates click on Sarkari Recruitment. We also provide the details about Recruitments, Syllabus, Previous Papers, Answer Keys and Results of every examination. Thank you.